Season’s greetings audio pros and philes, with Christmas and the holiday season speeding its way up the motorway that appears to be my life, I have decided to take a moment to stop and reflect. I thought for this month’s column I would share my thoughts and feelings about what it is like to be on tour. I’ve been away from home for a long time now, and when I finally get home it’ll be nearly 2 months since I last put my keys in my front door. I’ve been touring for what seems like forever, but translated into some form of linear time that we can all understand it must be about 10 years. After these 10 years of constant movement I’ve come to realize that I don’t really feel like I have an actual ‘home’ anymore. To start to explain how I feel being away from home, I think it’s a good idea to understand what the meaning of ‘home’ is. In my dictionary, under the word ‘home’ there are 5 entries, the first one being the place someone lives. But where do I live?! There is the wonderful house I have with my girlfriend in a beautiful, quite part of Amsterdam; that is home, a lot of my belongings are there. It’s somewhere I go back to after being away. There is the place I come from, where my parents still live; that is still and probably will always be home. Then there is my lovely, trust worthy, 74 liter, dark and light brown, all terrain, polyester, rough riding, wheelie, Oakley trunk. This comes with me everywhere. It has been home to my clothes, boots, glasses, toiletries and everything else I decide to carry with me from tour to tour, so as far as my personal belongings are concerned, this is their ‘home’. I know that when I get into my hotel room I have my portable home with me, and encased inside are all the creature comforts I could ever want with me. So my sense of home is always pretty close. I suppose, in my head at least, I have 3 homes to choose from depending on my situation and/or state of mind at the time. I think most of all, ‘home’ is a state of mind, and the motion of going ‘home’ fills me with a mix bag of emotions; Nervousness, excitement, relief, guilt. What do all these emotions have to do with anything? Well, I feel nervous because I’m not that confident in myself that leads to the thoughts that what if my feelings have changed? What if their feelings have changed? Excitement, because I’m going to see my loved ones in physical form and not just through a computer screen. I feel relief because I don’t have to swap beds every other night and share a living space with 12 other people. And then there is guilt, not guilt because I’ve participated in activities that might be seen as uncouth, but because I’ve been away for so long and left everyone else behind to fend for themselves. It’s easy for me these days to block out these feelings when I go away, but as soon as that final journey comes they come flooding back just to make me question who I am and why I do it. Touring has been made a lot easier these days with the use of technology like Skype and mobile communications, and I do, as we all probably should do, occasionally think back to the early pioneers of this nomadic industry and how they use to survive with only the hotel/venue phone and fax machines. 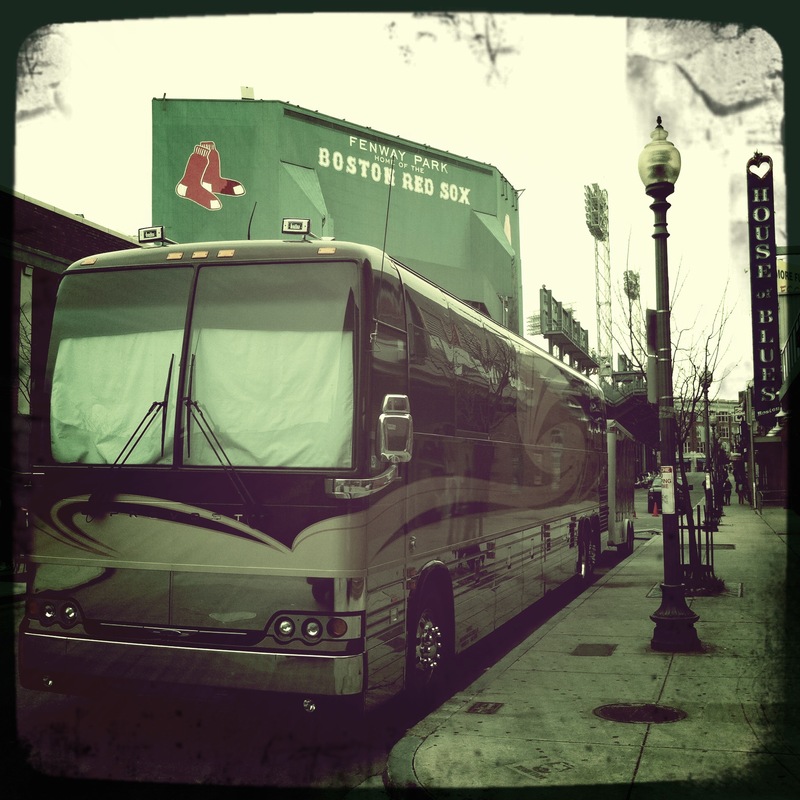 Touring is a way of life, but you are either built for it or you aren’t. I’d like to see myself as one of the great British explores like Cooke or one of the great thinkers like Darwin, who travelled the globe seeking out new gigs and new sounds; To boldly go where no band has gone before. But let’s face facts, I am neither Captain Cooke nor Picard, and my illusions of grandeur are my very own. I do on the other hand have an exuberant passion for the work that I do, and it’s that passion that keeps me remotely sane in a world that can be stuck so far up its own arse it gives itself heart burn. Touring is a great thing, you don’t have to be some half-wit blond singer from a generic girl band to figure out that, “I like touring because I get to see new places and meet new people”. I love touring for that reason as well, but I think the best thing about touring is seeing my loved ones again, even if it’s just been a week. Don’t get me wrong, I enjoy the people I work with, the food, the gigs, the changes in season and scenery, but it’s those people back at ‘home’ with all their patience, love and support that really make me feel like my job is worth doing. May I wish you all the very best over the holiday season; no matter where you might be.